For the past couple of weeks (since I had an appendectomy), dressing up has been a bit challenging. Mainly because at the moment I can’t stand anything tight or clingy around my waist, and my abdomen is still a bit sore and swollen. So, I’ve been slobbing around in gym pants and loose tops… Not very stylish, and I hope I can get back into proper clothes soon. No, I didn’t buy it especially for this purpose (because, well, you can’t plan for an appendectomy, and you definitely don’t feel like shopping after one). The thing is, I’d been eyeing this Marimekko dress all summer, wondering whether I should get it or not. It’s loose and shapeless, so not exactly the best style for an hourglass figure. But I really like the print and the colours. And it’s really simple, cut like a kaftan or a kimono, which is exactly what I’d like to wear on a very hot day. You know, when I can’t stand any fabric touching my skin. I know from experience that I always regret not buying something when it’s no longer available. So, I finally decided to get the dress, and bought the last one I could find. Yes, I know, it’s autumn; not exactly the smartest purchase this time of the year. 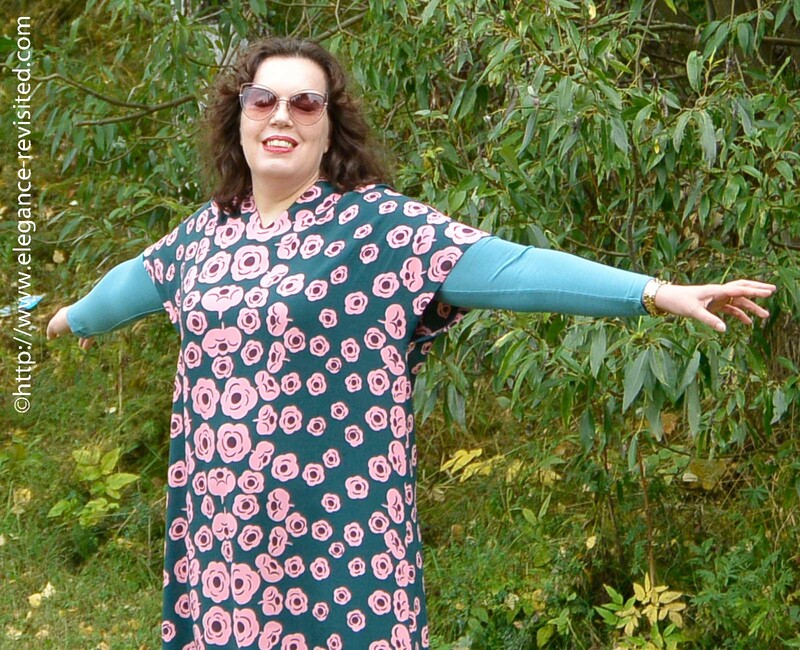 But I thought that there’s always next summer..
And recently the muumuu has been the basis of my ‘dressed-up look’ (when I get tired of the more dressed-down gym pants and t-shirt combo). And because it’s autumn and it’s getting colder and rainier, I needed to wear a long-sleeved top underneath. Add the coat, and that’s about as much layering as I can stand. However, I don’t think this will become a default look. It’s OK, but’s it’s not something I’d choose if had other options. Would you wear sack dresses? Thank you Tine. I'm glad to see you back!I got this bag a couple of years ago and have been using it mostly as an everyday work bag. It's very practical, and it goes with almost everything I have in my wardrobe. I'm glad that you are recovering well from surgery. My mom recently went through surgery and it was a harrowing experience to say the least Honestly, I didn't think it looked like a mumu until you took off your jacket, but I really like the print and the colors. The most important thing is that you feel comfortable in it. Thank you for sharing! Thanks, Gigi. I hope your mom is getting better soon. It seems that appendectomy is considered minor (laparoscopic) surgery these day, at least that's what the nurses told me: that it's quick and easy, and I'd be up and around in no time. I only spent one night in hospital, and since then the main problem has been all the things I'm not supposed to be doing (no gym, no tight clothing for a few weeks) because I have a hard time accepting any restrictions. The colors are very nice, also is the print of course. 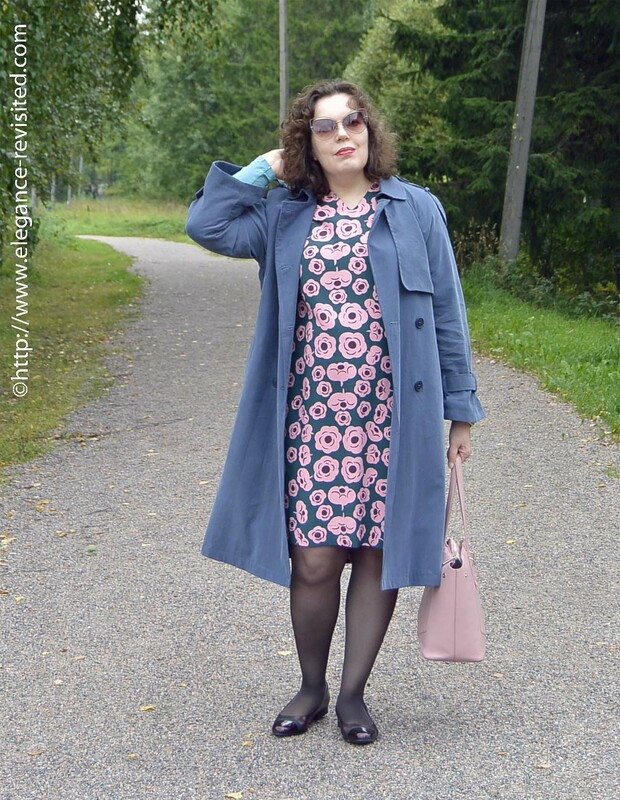 And that trenchcoat is perfect with it, that cool color really looks very good on you! Thanks, Nancy. 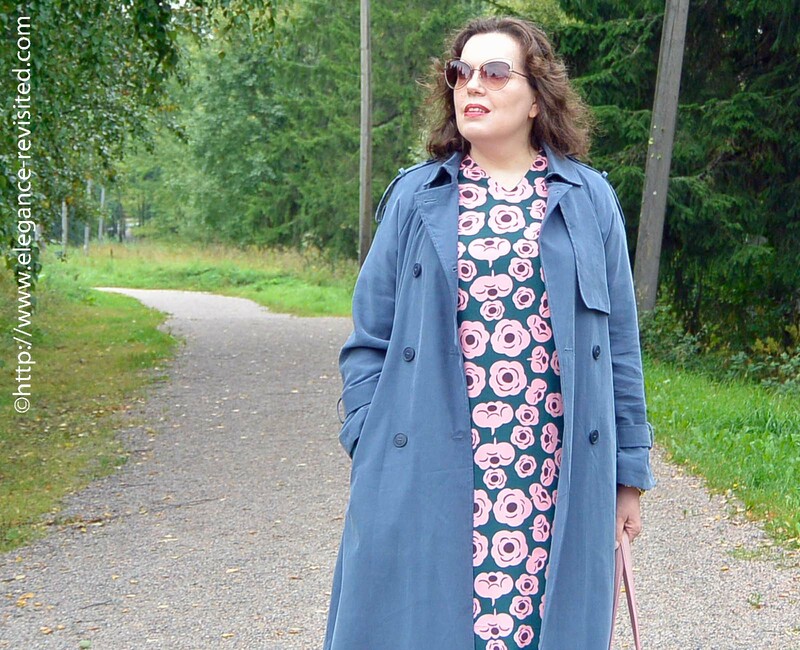 It was the print and the colours that made me get the dress in the end. 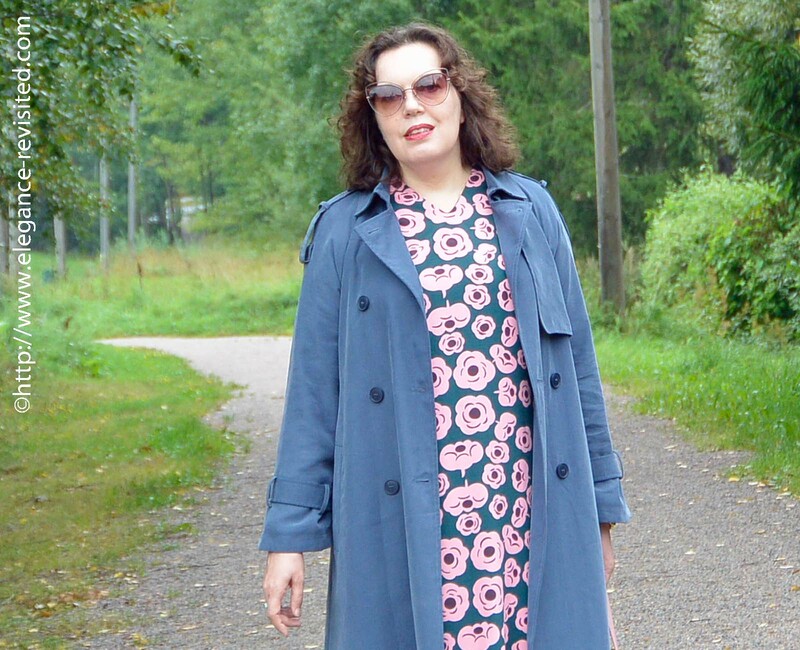 And the same with the trench: I wanted something in a bit longer length and in a 'neutral' colour. Glad to hear you are recovering from your surgery Tiina. The print on the dress makes it and the colour really suits you. I understand the shape isnt your favourite but you might surprise yourself. I travelled with a dress this shape and found it so comfortable on the dreaded long haul flight from Australia to Europe. Thanks, Jill. Yes, the shape is not the most flattering. But it might be just the right thing for a very hot day. Or for a long flight. Thanks for linking up to Top of the World Style. The print of the dress is so interesting. Its colors are perfect on you! I'm much better, thanks. Appendectomy is a minor surgery these days, with very little down time. I'm feeling better, healing fast, just had to reschedule my entire autumn semester (I know I should focus on health, but it's still annoying…).And yes, defining the waist, that would be my default solution, too. But at the moment I'm still a bit sensitive to anything tight around my midsection.